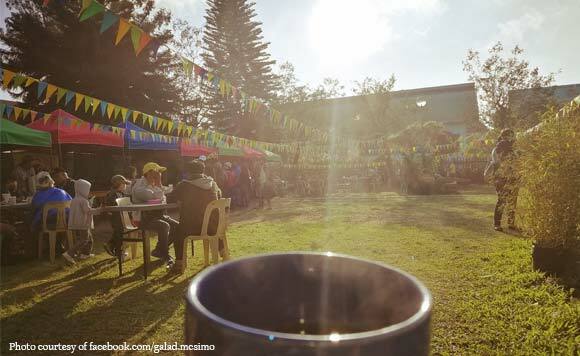 The La Trinidad municipal government gave away free and unlimited freshly brewed coffee during the La Trinidad Coffee Festival. The municipality celebrated the event last February 7 to 10. La Trinidad Municipal Tourism Officer Valred Olsim said visitors were served high-quality Arabica coffee. In order to help reduce waste, visitors needed to bring their own drinking cup or glass before the could avail of the unlimited coffee. Among the events during the La Trinidad Coffee Festival were a coffee conference, a “cupping” and “barista” demo and training, and a coffee techno forum. The La Trinidad municipal government is encouraging residents to plant coffee as an alternative to strawberry.